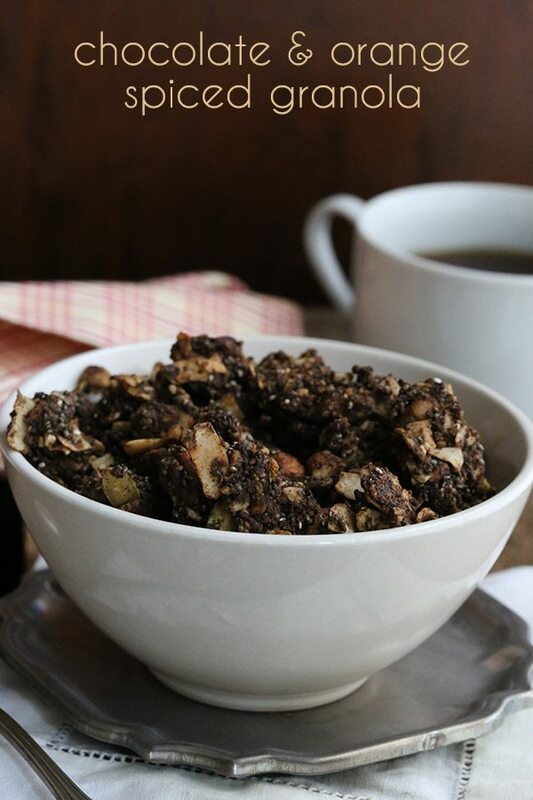 This grain-free Chocolate Granola makes a fabulous low carb breakfast. My review of The KetoDiet Cookbook. I will be the first to admit that I hate doing cookbook reviews. Here’s the deal: I get at least 4 to 5 press releases for new cookbooks a week, most of which come with a request for me to review the book. If I accepted every cookbook review that came my way, I’d spend all my time making other people’s recipes and have no time for creating my own. And if I did that, I might as well rename the blog “All Day I Dream About Cookbooks”. Doesn’t have quite the same ring to it, now does it? So I decided long ago only to review those cookbooks that I already know will be fantastic and that fit my audience’s needs to a T. And The KetoDiet Cookbook is exactly that. 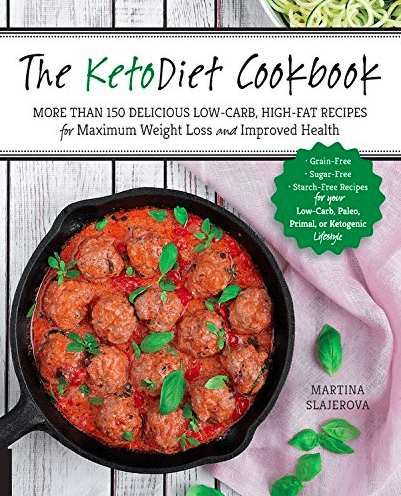 Written by my friend Martina Slajerova of The KetoDiet App and The KetoDiet Blog, I barely had to glance inside the pages to know it would be full of amazing low carb recipes for healthy living. I’ve always loved Martina’s recipes and I know she’s got a great spirit too. So this was exactly the sort of cookbook review I was happy to say yes to. 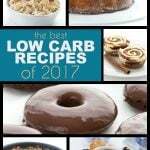 It really is a glorious cookbook, with over 150 recipes suitable for anyone on a low carb or ketogenic diet. Everything from breakfast to dinner to (my favourite) dessert. 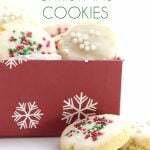 You aren’t going to go hungry with this cookbook in your hands! For this review, I considered making a meatball recipe or one of Martina’s awesome bread recipes. But my kids were craving cereal. 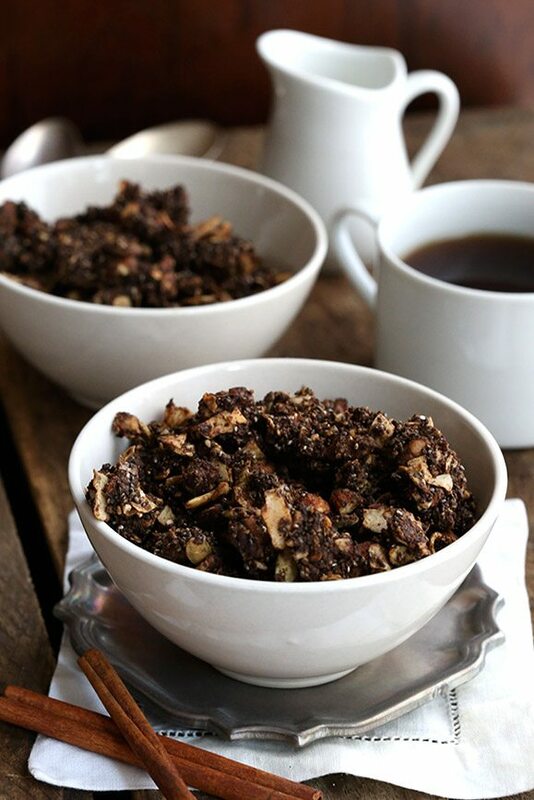 I had run low on breakfast ideas for them and so the Chocolate Orange Granola seemed just the thing. Confession, though. 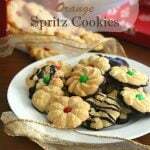 I actually left out the orange zest this go round because I knew it would be a tougher sell for them. So I just made chocolate spiced granola, which they loved. LOVED! In fact, my son demanded that I make some again very soon. Which I will, of course. Happy to oblige, when it comes to healthy low carb breakfast recipes. So if you are looking for your next low carb cookbook purchase, I highly recommend The KetoDiet Cookbook. It’s a shoo-in for any health-conscious cookbook collection. 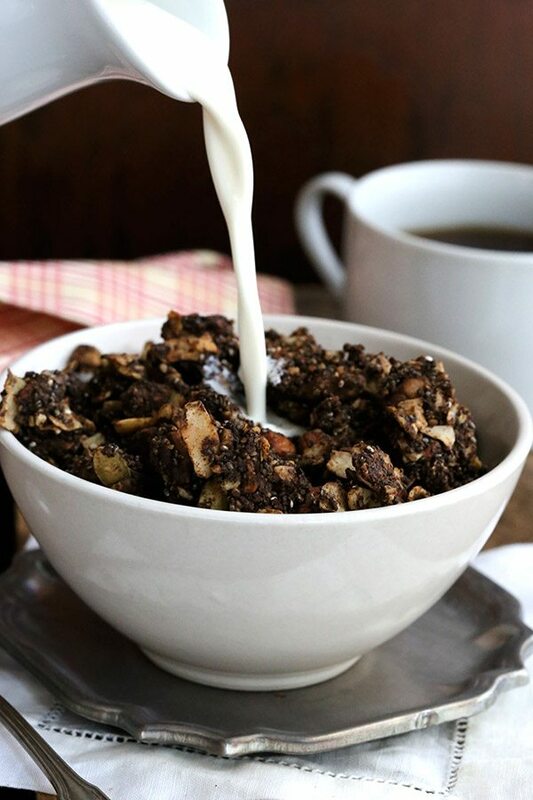 This grain-free Chocolate Granola makes a fabulous low carb breakfast. Serves 10. Each serving has 15.7 g of carbs, 10.6 g of fiber, 13.2 g of protein, 28.9 g of fat, 334 calories. NET CARBS = 5.1 g.
The word “granola” makes me think about oats for some reason so I was curious to see what will replace it I since I try to eat no more than 15-20 carbs a day to stay Keto adapted… So The nuts made it even better… Like yourself, it sounds a lot better without the orange zest…lol… I may give it a go on the weekend when I have so time… Looks good! I’ve always had a weakness for chocolate and orange together… My mom would get Swiss chocolate bars filled with orange cream…heavenly combination! So I for one will be leaving that nice orange zest in, and can’t wait to try this this afternoon! Thanks!! I don’t like chia seeds, so I’ll just leave them out!? I wonder if you could do a granular or powdered sweetener and a bit of water to replace the liquid stevia. I don’t always keep it in my pantry. I’ve managed to sub another sweetener with most recipes. What do you think ? I think you could simply add another few tbsp of sweetener. The liquid stevia isn’t enough to add much liquid to the recipe so you don’t need to make that up. I detest coconut..it’s a strong word but true! Could I just eliminate it from the recipe? Or any suggestion on what to replace it with? Thanks! I would replace it with slices or slivered almonds so you get some more of that bulk in there. Or maybe sunflower seeds! Thanks! The idea of a “cereal” is very tempting…can’t wait to try! What is the difference between flaked coconut and shredded coconut? Does the recipe mean coconut flour? No, it doesn’t mean coconut flour. Shredded is very small bits, flaked is as it sounds: larger flakes. What does the whey protein powder do, and is there a reasonable substitute for it? In this recipe, I think it just adds protein and maybe a little bulk. You could probably sub with more almond flour. 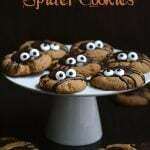 Oh and thx for another interesting recipe. Sounds easy to you. But weighing out portions of every recipe? A lot more work for me, don’t you think? Sounds good. It’s not my recipe so I did not go to those lengths. I find it unlikely that I will, given how many other things I work on for my readers. Also want to point out, this recipe actually DOES indicate the portion size. 1/2 cup. It’s right at the top of the recipe. 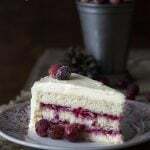 My bad, I should have been more specific in my original post; I was talking about weight per serving which eliminates variances in clump sizes and measuring techniques. I think you could assume that the weight of the whole recipe divided by 10 will give you the nutritional information provided. The length of the ingredient list is daunting to me. What’s the difference between shredded coconut and flaked coconut? Sorry to bother you. I looked up the different types of coconut available and determined it’s a matter of texture, so I’ll assume that’s why the recipe has both. You can delete my previous comment. Thanks. VERY nice recipe, I might have to buy that book. 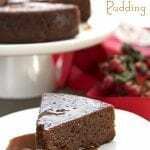 Are the other recipes in it as good as this one? (anybody?). 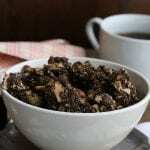 I’m into making a second batch of it as I type this, as I finally ran out a few days ago, and now find that I crave this stuff (6 months without any cereal will do that ;-). I added a little bit of cacao nibs (2 Tbsp) in my first batch, but then I had to subsequently add more erythritol to each bowl to get it to the right sweetness. So this time I’m adding an extra 1/4 cup of erythritol to start out with, extra stevia, along with 1/4 cup of cacao nibs. 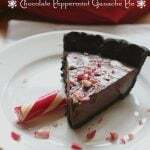 The other “tweaks” I’ve done to this recipe is to use super concentrated dutch cacao powder instead of regular cacao powder, and then use a combination of mostly cacao butter with a little coconut oil (to help melt it). Hmm, wonder if that makes me a chocoholic? (gee, ya think?). Also, last batch turned out a bit too thick for my liking, so I’m rolling this batch out much thinner, which will take two separate baking sheets. 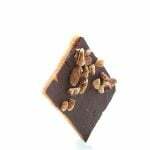 I’m wondering if I used some glycerin in the recipe to replace some of the erythritol, If I could make nice chewy chocolate “granola” bars instead of crunchy cereal. Problem is, I’ve heard from some quarters that glycerin can get turned into glycogen by your liver, while other sources say that it’s safe for LCHF dieters. Anybody know what the truth on that is? If so, please site sources if possible, thanks in advance. I love that this is only 5.1 net carbs per serving, although I don’t think I’ve ever ate only a “1/2 cup serving” of cereal in my life (minimum of 1 cup). But even at 10.2 NC + <1 for the cup of unsweetened almond milk, that's pretty darned good. Especially when compared to the steel cut oatmeal (about 44 to 52 NC per 1/2 cup) that my diabetic older brother bragged only spiked his BG to "only 120" (he uses skim milk too, another 12 carbs…). This stuff tastes much better too. Can’t wait to try this. Two questions: should this be kept in the refrigerator? And can it be frozen? It can be kept on the counter for several days. Not sure about freezing! I freeze mine to make sure it stays fresh, and it still tastes good and everything. BTW, sifted almond meal does work okay in this recipe. Sounds very appetizing! Especially the combination of chocolate and orange! I don’t have Martina’s book yet but does the recipe actually say “Cook Time: 1 hour” and in the instructions “bake 30-40 minutes”? I need some clarification, please. I’m curious to know what I might have done wrong. This basically turned out like a powder with a few clumps in it. It tastes fine, but certainly does not have the consistency of granola. I’ve double and triple checked to make sure I didn’t miss anything, although I did leave out the pumpkin seeds and chia as my husband is not a fan. Did leaving those out damage the consistency? It just doesn’t seem as though there are enough wet ingredients to keep this held together….. Yes, leaving anything out or not replacing it would affect the texture because you would have too many wet ingredients to dry ingredients. You at least have to replace the seeds with more nuts.